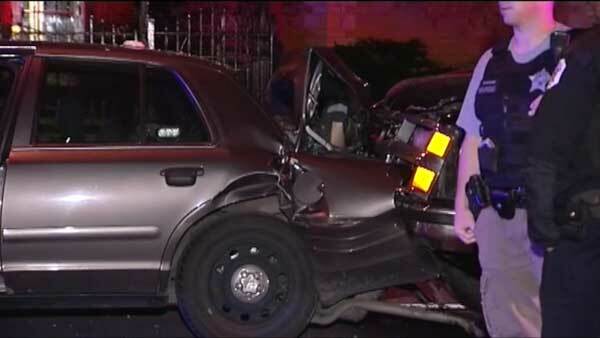 CHICAGO (WLS) -- Two police officers were injured in a crash in Chicago's South Shore neighborhood. Police said the officers were sitting in an unmarked police car near East 78th Street and South Jeffrey Boulevard around 1:10 a.m. Wednesday when an SUV slammed into the rear end. The officers were taken to hospitals. They are expected to be OK.